Leaders of Muslim cooperatives in Marawi City sign the symbolic “Declaration of Support” for the reelection of Senator JV Ejercito during the Alliance of Cooperatives for Peace and Development ALLCOOP, All Leaders Assembly held in Marawi City last March 23. 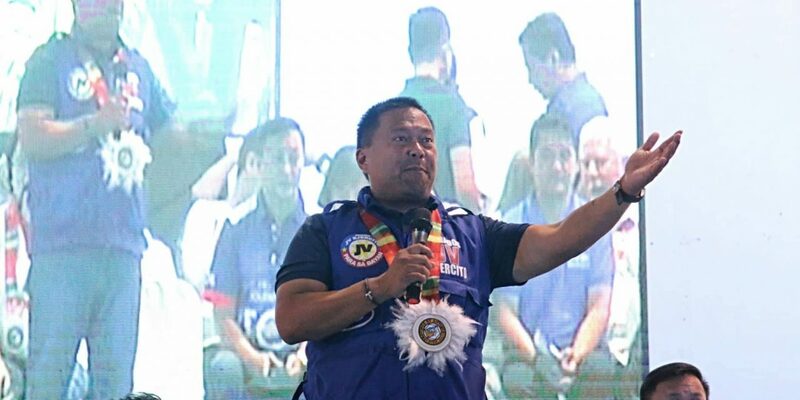 REELECTIONIST Senator JV Ejercito was the one who pushed for the allocation of P110 million funds for 50 cooperatives in Mindanao for the implementation of peace and development initiative projects. This was learned from Mindanao cooperative leaders under the Alliance of Cooperatives for Peace and Development (ALLCOOP) as they vowed to campaign hard for the reelection bid of Senator JV Ejercito and make him number 1 in Lanao Del Sur in the forthcoming May election. ALLCOOP leaders and members also signed and presented to Ejercito a declaration of support for his candidacy during the ALLCOOP All Leaders Assembly held in Marawi City last March 23. “Inshallah (if Allah wills it). Bago po ito (assembly) nangyari ay nagkaroon na ng pagmi-meeting ang mga leaders ng kooperatiba dito sa Marawi City at tsaka sa Lanao Del Sur at idineklara na natin noon na tutulungan natin si Senador JV (Ejercito)….nang sa ganoon ay maging number 1 siya dito sa Lanao Del Sur,” Pendatu Desimban, ALLCOOP spokesperson and peace advocate, announced during the assembly. The leaders expressed gratitude to Ejercito who had pushed for the allocation of P50 million funds for Cooperative Development Authority (CDA) in 2018 and another P60 million this year for the implementation of projects in Mindanao under the Normalization through Cooperative Development Project, which is a socio-economic component of peace initiative of CDA. 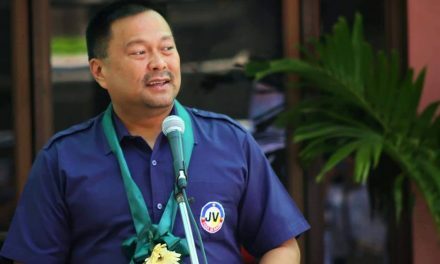 For his part, Ejercito, who served as San Juan mayor from 2001 to 2010, cited the big contribution of Maranao traders, mostly owners and operators of wholesale and retail shops in Greenhills Shopping Center, for the progress of San Juan. “Salamat sa inyong suporta…Kaya madalas ako dito (sa Marawi City), ‘yung amin pong pag-unlad sa San Juan, malaking bagay ang magandang samahan ng Muslim at Kristiyano. We can probably say that in San Juan, in Greenhills, the good working relationship of Muslims and Christians produced wonders,” he said. As mayor, Ejercito was able to increase the income of San Juan from P300 million to P1.2 billion. “Dahil ‘yan sa ating maayos na pamamahala at pagtutulungan ng lahat ng taga San Juan at sa tulong ng ating mga Maranao and Muslim traders, maraming salamat po sa suporta,” he said. PreviousMR. HEALTHCARE IN SORSOGON CITY.